Following three years of creating videos under the Domin8 Designs banner, it was the right time to give the rapidly growing videography side its own identity - so welcome to Domin8 Media. 2) there is the DIY approach - which is relatively cheap, however the results are often underwhelming and don't do a business, person or wedding couple justice. My focus is on delivering a professional outcome in terms of social media videos, wedding videography, event and forum recaps as well as feature videos, to those people who would otherwise miss out. To become an enabler, that's a bit more affordable for people who can and should benefit from videography. I'm constantly learning, both technically and from a business side, and I'm incredibly fortunate to already have a great client base behind me. The aim of this website is to be the hub to attract potential customers and help them understand the premise of the business and discover ways Domin8 Media may be able to help. It's also the perfect way to showcase both new and previous work. I'll be utilising the blog feature (of this awesome website by Domin8 Designs) to provide updates of my journey, as well as tips and insights for people who can benefit from the same lessons I learn and videography relevant things I find awesome. It's a continual work in progress, and I've got a lot of work migrating previous videos across - but if you've got any feedback on the new website, please don't hesitate to drop me a line. 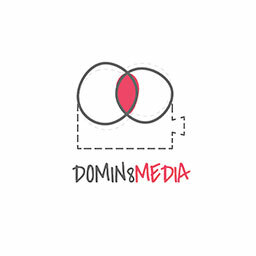 Domin8 Media is now active on both Facebook and Instagram, so any support through a like or follow is always appreciated. Most content will also be on Youtube where you can subscribe to the account also. Finally, if you know of a business, sports club, not for profit, wedding couple - anyone who can benefit from professional, affordable videography in Tasmania - then please don't hesitate to pass on my information.